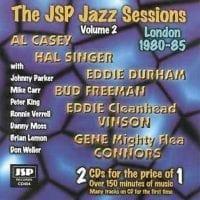 View Cart “Various – The JSP Jazz Sessions – Vol. 2” has been added to your cart. This four-disc set is a kind of curiosity. 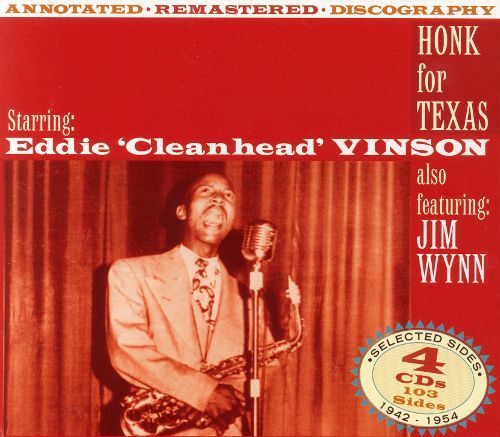 Honk for Texas features Eddie "Cleanhead" Vinson, alright, but only for three of the four discs. The last one features Jim Wynn. 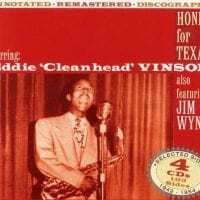 Wynn is featured on four tracks on the last Vinson disc from sessions in 1945, but that's the only link, other than Honk for Texas, of course. Neil Slaven's liner notes take care of the explanation inside the package, and it's perhaps that Wynn isn't well-known enough to sell records on his own -- though to collectors who already have the Vinson material, this would be ideal. And who but collectors would be interested? In any case, the sides collected on this box are from 1945 -- when Vinson was playing with the Cootie Williams Orchestra, and first led his own groups -- to 1952, at the end of his run of big bands. The material has been remastered and sounds fine, though there is a serious question as far as where royalties on this stuff are paid -- and that the artists and their estates are not, given the leniency of British public domain laws. 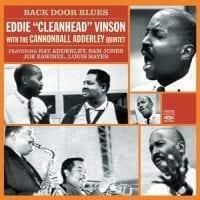 The bottom line is that Vinson's notoriety -- as the most popular of all the alto players to come out of the Lone Star State -- allowed him his pick of fine musicians, and he had them, from Earl Van Riper (who was to become a Motown studio ace), Clark Terry, and Eddie "Lockjaw" Davis in the 1940s to Slide Hampton and Charlie Rouse in the 1950s, and a ton of fine players in between; it would have been unthinkable for Vinson to make substandard sides. 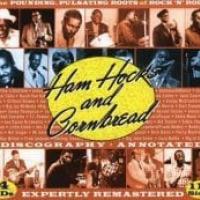 Three of these four discs offer incredible jump blues, smoking swing, and burning R&B evidence.